Earning the trust of our patients is extremely important to us, which is why we make the following promises to all of our patients. We have the tools, technology and caring manner to make all your visits comfortable and relaxing. 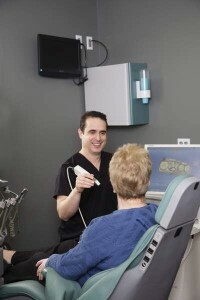 We always make your comfort a priority – from having nitrous oxide or “laughing gas” available to calm the anxious patient, to Dr. Omeltschenko’s gentle numbing technique – we can help nervous patients overcome their fears. We won’t criticize those who have put off regular dental visits, as we know fear can be a powerful deterrent for many! We will only perform procedures that you honestly need. At your first visit you’ll receive a thorough examination by Dr. Omeltschenko. Based on his findings and the goals you have communicated to us, he will design a treatment plan specifically tailored to meet your individual needs. By taking the time to get to know you, your mouth and your oral health goals, we can ensure we are only performing procedures that you need or in the case of cosmetic dentistry, have requested. We will give you the highest quality dentistry available. We will provide comprehensive dentistry for your entire family. We are not a “cosmetic boutique” dental practice that is only interested in providing cosmetic dentistry to adult patients. 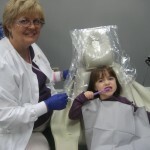 We are dedicated to providing comprehensive dentistry to entire families and welcome children in our practice. Cleanliness and patient protection is of the highest concern. Your safety is our top concern. Our patient protection procedures exceed government regulations. 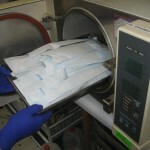 All instruments are prepared using a two-part process of ultrasonic cleaning and heat sterilization. We won’t keep our fees a secret. We believe it is a fundamental right of each patient to know what the cost will be for any treatment they need prior to beginning treatment. We’re proud to offer long lasting dentistry and pleased that most of our continuing patients need do additional treatment. We also know that occasionally people move far away. This means that we are always happy to welcome new patients to our office. To schedule an appointment, call us today at (513)-245-2200!